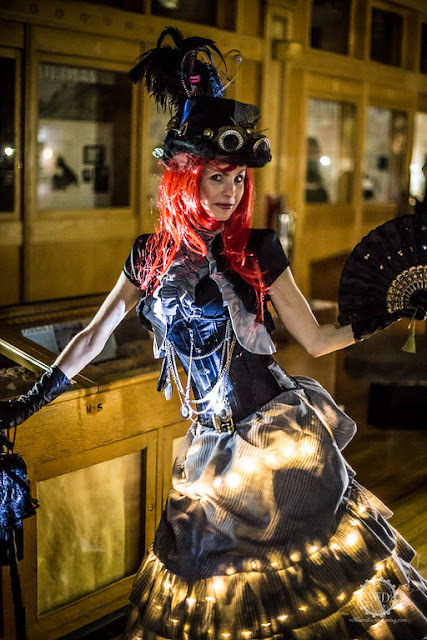 Here's a Steampunk style tip that's perfect for night events! It's inspired by a talented Canadian Steampunk named Annabella Hettie Passmorious. 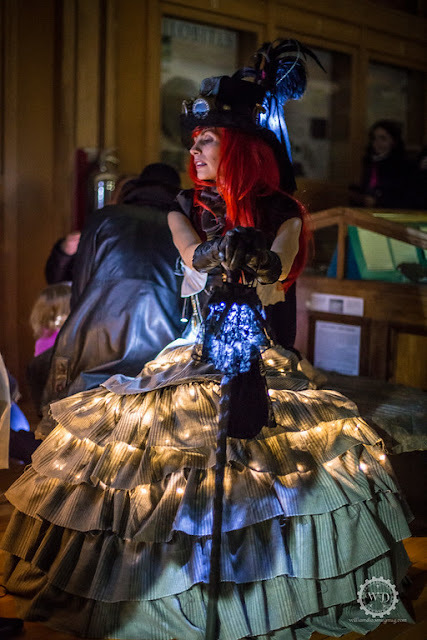 Annabella created her glowing costume for Nuit Blanche, a special nighttime flashlight tour through the Redpath Museum's natural history exhibits led by guides from Steampunk Montreal. 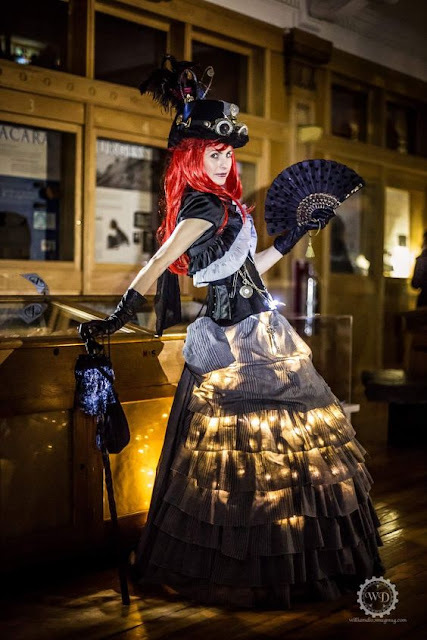 Annabella used battery operated string lights to make her tiered bell skirt glow, and the result is just lovely. You can try this yourself using LED string lights, which can be found for cheap on amazon. This 33 foot string of 100 LEDs includes a remote control so you can choose from 8 different lighting modes. If you're looking for colored lights, this 16 foot LED string includes a remote that lets you choose from 13 different colors! If your skirt is thin enough for light to shine through, wind the string of lights around your petticoat (if you don't own a petticoat, check out our tip on layering skirts). Secure them in place with several large safety pins (but don't pierce the light string! ), or by hand sewing a simple tacking stitch where needed. If you're wearing a bustle skirt, tuck the lights into the folds and gathers of the fabric and secure them using safety pins (don't pierce the light string!) or tacking stitches. This is also a great way to highlight the beautiful details of your skirt's bustle. Do you have any suggestions for lighting up costumes? Leave a comment below. 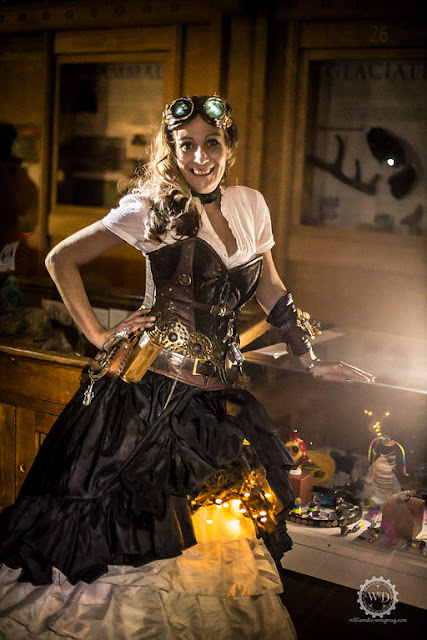 For more Steampunk style tips, check out our fashion guide.